Good news for the java set: You can drink your coffee and not get cancer too. Unless you drink a ridiculous amount of it, in which case you should cut back a bit. 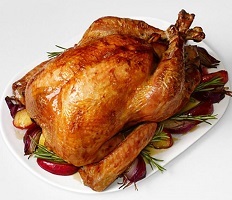 Although turkey is hardly the cheapest type of meat, it’s possible to score a free bird in time for Thanksgiving or Christmas if you play your cards right.